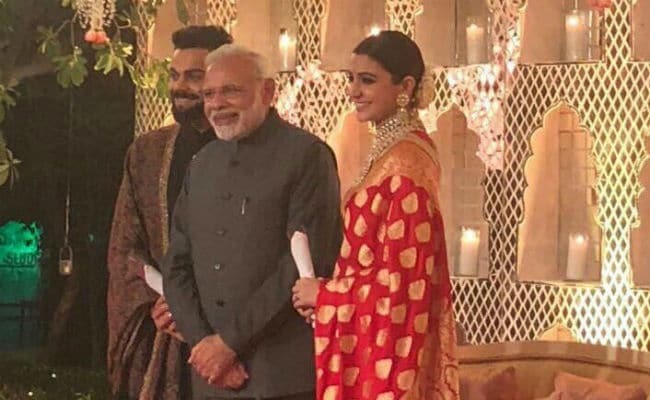 NEW DELHI: Yes, Prime Minister Narendra Modi attended the Delhi reception held for Anushka Sharma and Virat Kohli on Thursday. Anushka and Virat, who married in Italy on December 11, visited PM Modi to invite him on Wednesday and he showed up. The reception venue was Durba Hall, Taj Diplomatic Enclave. This was the first round of receptions in Virat’s hometown for his extended family and dignitaries. 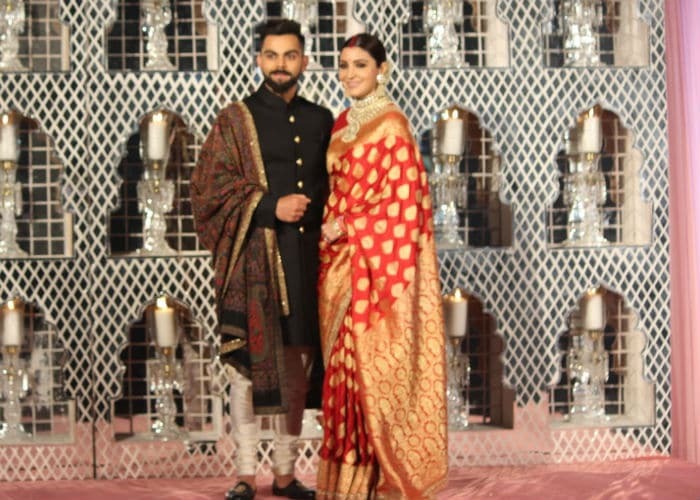 Anushka and Virat posed for a photo-op outside the venue – Anushka resplendent in a gorgeous red and gold Sabyasachi benarasi sari, Virat complemented her in black textured bandhgala with silk kurta and hand embroidered pashmina shawl. Cricketer Suresh Raina also arrived at Virushka’s wedding reception. In case you’re curious to know what’s in the goodies bag given by Virat and Anushka, we have the details. The bag comprises an invitation card (designed in gold and ivory colors), which is accompanied with a customized box of sweets and stuffed dates. 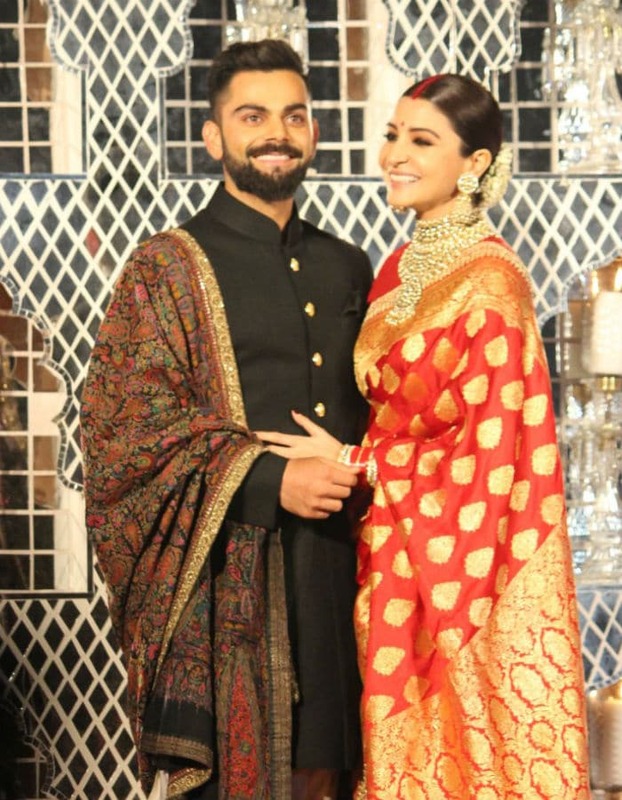 Anushka Sharma and Virat Kohli chose Sabyasachi bespoke outfits for all three wedding functions held in Tuscany, Italy. Here’s a glimpse of their floral-themed wedding in an 800-year-old heritage property. The couple will now travel to Mumbai for their second reception on December 26. The Mumbai party is expected to be a full-on Bollywood show with several films stars in attendance. After that, Anushka and Virat will take off for South Africa where Virat will prepare for an upcoming series. Anushka will return in the New Year to resume filming her upcoming projects.